The 2018 Dunlop MSA British Touring Car Championship ended at Brands Hatch on Sunday 30th September where Team BMW’s Colin Turkington was crowned champion for the third time in his career. 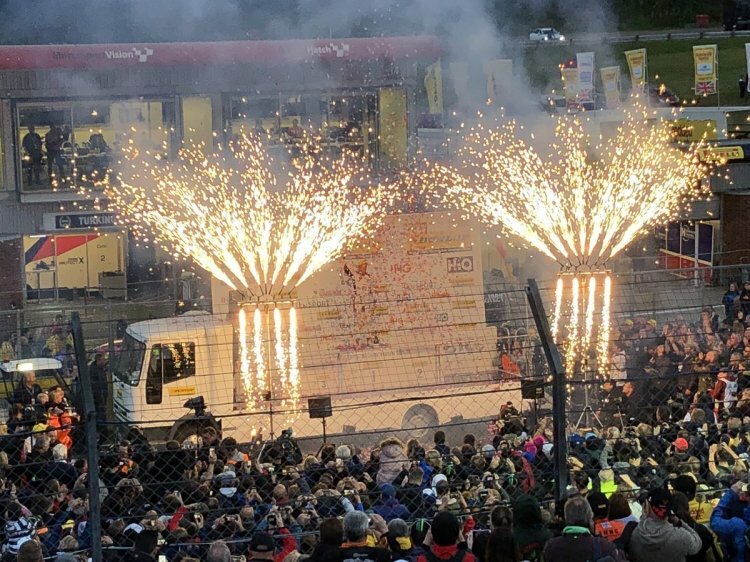 The Confetti Magic team were on hand to mark the moment Colin lifted the winner’s trophy with an array of stage pyrotechnics, flames and confetti. As the final race ended it was all hands on deck as a convoy of vehicles entered the track to ensure that the mobile stage, trophies, numerous bottles of champagne and effects were all in place for the final presentations. With only a few minutes available to us to ensure the moment was caught live on TV, all our effects were operated remotely with minimal cabling which meant setting up was quick and easy. All our confetti is flame retardant which means using it alongside our G-flames and pyrotechnics does not cause any risk of fire. As media representatives, VIP’s and guests were close to all the action, we had to ensure that close proximity stage pyrotechnics were used for the effects which do not produce any hot fallout. Take a look at the video below for a front row view of effects in action.